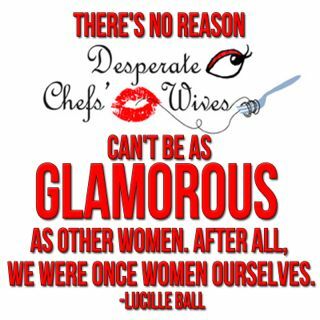 Desperate Chefs' Wives: Any Regrets? A reader recently asked me if I could do everything over again would I run? As in run from the my chef like she's tempted to do now knowing what we all know. There is no way I would ever change anything. It would take all the powers in the world to tear me away from my perfectly imperfect life. I can't stand the time my chef is away at work, but it's the life I lead and I'm not going anywhere. A life with a 9-5 husband would certainly lend to more quality time, but there would be other problems. There always is. I believe we are challenged each day in life only enough that we can handle it while still learning something at the same time. I'm challenged everyday, any more than this and I'd be done for, any less and my life would be boring. I’m not a spammer, theft, con-artist or any those unethical things people like to play. Just a human being trying to promote my web-page. Been a soldier my whole entire life, just want to become an entrepreneur,planting my seeds in the right community and helping others. I know it about TRUST!!! It is called YUWIE, a social networking site to offer you great opportunities to earn money. Yuwie is a great way to make friends, advertise your materials/ businesses, AND make extra cash doing what you ALREADY DO! First off, Yuwie is 100% FREE. Yuwie is like any other "connect with friends" or social networking site. But we have one major difference. Use Yuwie - Get Paid! Yuwie pays you to blog, upload pictures, refer friends, chat, hang out, etc. You won’t get rich but this is a no-brainer way to make money if you don’t want to invest anything. Thank you for listen to me, I know that this message is long but that me, I like to explain to other what they're getting into, the most important thing in life is knowledge. I've just recently been going through some tough times with my chef. New restaurant - need I say more? For the first time in our relationship I contemplated my life without him, and as crazy as our relationship gets, my life would not be the same without his energy, passion, and all the same things that drive our screaming fits in the middle of the night when we are both tired and fed up. I'm glad I'm not the only one nuts enough to want to stay! 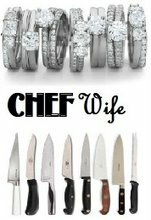 I just met a well-known restaurateur's wife, and she said the trick to being successfully married to a chef is to be fiercely independent. I fantasize all the time about what my life would be like if I were alone or with someone else, and I always come back to being so glad to have him in my life. There is nobody else I would rather be with. And thank god I'm naturally independent, anyway! I'm with Melia lately. New restaurant equals no date to my best friend's wedding in Boston. 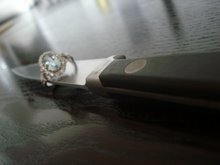 I love my chef and would never want to be with anyone else, but sometimes it's really hard. And hormonal PMS doesn't help matters! Its been a good reality check for him - but the chef ego is suffering. it has been our hardest year to date!! keep calm and carry on, right ladies?? What can we do? WE are ultimately the glue that holds it all together.